Quite recently a close friend of mine and former co-worker of Alex Tornberg's sent me a link to his portfolio. Deeply impressed, I was pleased as punch when Alex was game for an interview. 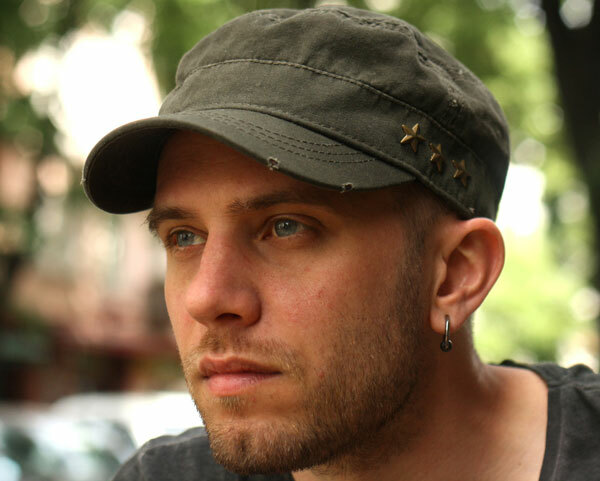 Meet Alex Tornberg, a Swedish concept artist, who has created conceptual designs and storyboard for companies such as Electronic Arts, Mattel, Funcom and more. 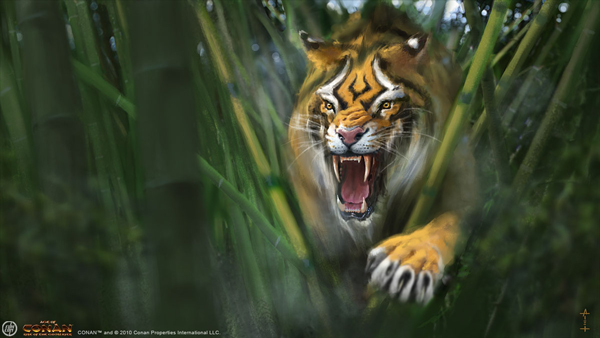 We get down to what inspires him, how he works, and what it takes to wear multiple hats within the industry: concept artist, asset creator, and even art director. Thank you, Alex, for taking the time to do this interview. 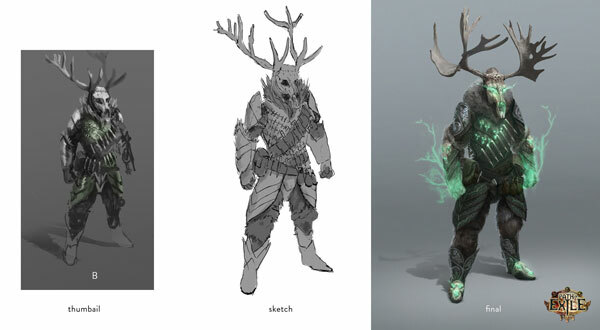 Let's start at the beginning: What got you into concept art? My pleasure! Concept art wasn't really something I grew up wanting to do; I didn't really know about until I was about 20. As I grew up I wanted to be a car designer and then later a comic book artist. In my late teens I got into 3D modelling and thinking about a career in game development or film. Through that I found the online CG community. 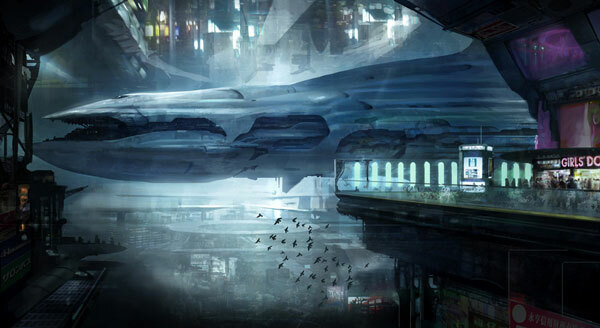 Especially a forum site called Sijun where a lot of young concept artists were sharing their work. This really opened my eyes and from then on I pursued a career as a concept artist. Later a new forum called Conceptart.org popped up, this was around 2002–2003, and that would have a huge influence on my development. It was there I learnt how to build the type of portfolio art directors at game studios wanted to see. My main source of inspiration comes from movies. As a kid I tried to copy the style of comic book artists like John Byrne, Mike Zeck, Alan Davis and Marc Silvestri; from them I learned a lot about drawing. I also had a period where artists from the turn of the century influenced me a lot; mostly Anders Zorn, Ilya Repin and John Singer Sargent. I think that’s quite clear if you look at some of my character work from Age of Conan: Rise of the Godslayer, for example. But what’s always been my biggest inspiration is cinematography. Classics like Apocalypse Now, Blade Runner, Alien, Barry Lyndon, John Milius’ Conan the Barbarian, etc. have been big inspirations for me. The production design, costume design, and lighting of films is what inspires me the most. No, I’m self taught. There really weren't any good art schools in Sweden when I grew up. There're a lot of great design schools but there wasn’t really anything focusing on honing your art skills and teaching you how to paint and draw realistic art back then. I studied Information Design for three years at a University though, but I never graduated. I think I learned some useful skills that're important for a Concept Artist there, though. It's more like "how to present your designs in an informative way", and so on; nothing really about drawing and painting. My work flow can vary quite a lot depending on what I’m working on. All jobs start with finding the mood and tone of the work by finding suitable references and possible textures I want to use. For most jobs, I will start with a bunch for quick dirty thumbnail sketches. Then I, or the art director, will pick one or a couple that I will work a bit more on. When the basic layout and design is there I will start creating the actual painting. Setting the mood and gathering resources. Here and there I will have to do a second round of reference and texture hunting here if I feel something is missing from what I gathered earlier. Sometimes there might be something that needs to be created in 3D software; this is when I do that as well, or if I need to, take photos of something. Sketching and blocking out the design. It’s just important to get all that done before you start painting. It will slow you down a lot if you realize you’re missing some important reference or don’t know how something should look when you’re doing the actual painting. When painting, I usually start with the basic shapes, then add details and color as I go. How this is done is very different depending on the subject matter. Painting, noodling details, and final tweaks. Adobe Photoshop and a Wacom Cintiq are my main tools, but I’ve used other software over the years as well, like ArtRage and Corel Painter. ZBrush is another favorite, but I seldom have the chance to use it. I use SketchUp to set up quick scenes with tricky perspectives. I’ve used both Autodesk 3ds Max and Maya when working for different game studios, but I don’t consider myself a good 3D artist. I want to learn Modo as I don’t enjoy using either Maya or Max, and Modo has left me with a good first impression with its reasonable price tag. I have a Samsung Galaxy Note 10.1 with Sketchbook Pro that I use for quick thumbnail sketching. It’s nice not to have to sit at the desk all the time and I can save the sketches in Dropbox or Google Drive so I can access them directly on my work computer. And I always carry a Moleskine sketchbook and some pencils with me; not that I sketch in it very often, but you never know when you need it. It’s been my only source of income since 2005. So it’s almost 10 years now. I did some smaller jobs and other illustration related work, such as Technical Illustration, for industrial giant ABB as early as 2001, but I usually count 2005 as the year I went pro. What's your typical workday like? 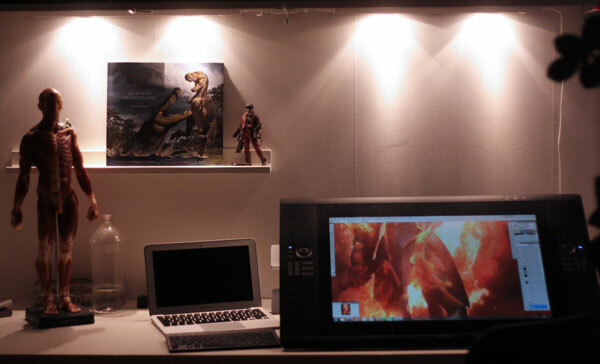 What's the "day-in-the-life" of a freelance concept artist? I usually start the day around 9 am by going through my e-mails and deal with any business related stuff that needs taking care of. After that I try and do some quick warm up sketches to get going and then I try and get as much work as I can done before lunchtime. After lunch I usually go for a walk to clear my head and get some air. Then I get back to work and sit glued in front of the Cintiq until about 6 pm, then it’s family time. If I have a lot of work I will usually go back to work some time around 9-10 pm and work for as many hours extra I need, but preferably not later than 1 am (though sometimes it can’t be avoided). I have an office in our apartment. It makes it easier when I have jobs that require me to pull long shifts. It’s quite large and bright, with good space for all my reference books, comics and geeky toys. It’s in a good location in Stockholm and just a couple of subway stops away from all my local clients. When working with companies like EA or Stardoll, did you work in-house? What was the experience like at such different companies? Yes, most of my career I have worked in-house. I spent five years employed at the Oslo-based game developer Funcom, working mostly on the game Age of Conan and its expansions. After that, my wife and I felt like moving back to Sweden and Stockholm. I felt a bit disillusioned by the AAA games industry and wanted to try out new things. I ended up at Stardoll, which probably isn’t one the high points in my career. I did some backgrounds for the dress up game, but most of my time there I was part of a team that was supposed to take the company into the future with new products for new platforms. This didn’t really work out and most of the games we tried to do on ended up in the trashcan. I was never really happy working there, but I made a lot of good friends. After a bit more than 1.5 years I had had enough and moved on. I got an offer from an old friend to come over to Electronic Arts and work as a art director for a small team. Sadly the game we worked on got canceled even before it got revealed, so I can’t even talk about what it was. The team was disbanded and merged into different departments within EA. I left and started my freelance career. Do you have a preference between in-house and remote work? It’s hard to say what I prefer. It’s really nice to work in-house as you get the chance to be a bigger part of the project. You can have a bigger influence on a multimillion dollar project that way. You also have a nice steady paycheck; senior concept artists actually have decent salaries. So you can have a pretty good life that way. The downside is that you never know if you’ll have a job if the project runs out money, misses some milestone, or sells poorly after it’s released. Chances are you’ll probably end up becoming a work vagabond, having to move between different cities and countries for work. Which can be great for a time, as you’re still young and don’t have a lot of baggage. It gets harder the day you have a family. So how does freelancing compare? With freelancing, you can pretty much decide where you want to be located. Of course it helps if you’re located in a city where you can have a client base, but you don’t need to do that. You also might be getting jobs where you have to go away and work onsite for some months, but it’s never so long that you have to move. You also get a lot more time to do your own work and you decide what type of work you want to do. Working in-house you never know what type of project you’ll end up doing next. You decide what to do with your time. If you don’t like a client, you don’t have work with them again. The downside is that you can’t be sure when you’ll be getting jobs and if the jobs are the type of jobs you want to do, and if you’ll be able to pay rent. It can also become a very lonely job as it can go months between actually meeting anybody. At the point where I’m now in my life I’d say I prefer freelancing. I’ve been lucky and have never really had to worry about not getting enough work so far. I also recommend any potential freelancer to save money so you won’t have to worry about not working for some months here and there. Do you enjoy working with a team of artist and designers? Or is your preference for solo work (possibly touching base with others) to bring a project to completion? 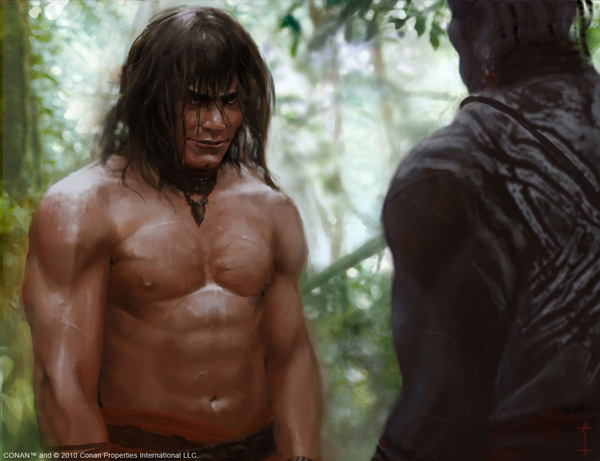 I don’t know if a concept artist ever really does real solo work. Most of the time you’re just a part of the production chain. 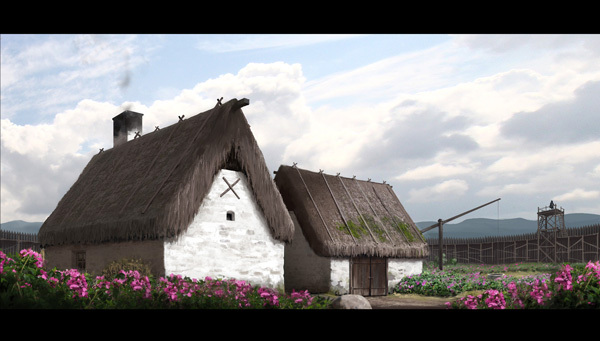 It’s really great and very inspiring to work within a team of concept artists. There’s no better way to develop yourself as an artist. Most of the time when you’re working within a game studio the concept artists will be sitting in a room or in a corner together and really not having to deal too much with anybody else than the art directors. Sure they’ll be giving pointers about their designs to various 3D artists and maybe they have to work together with a level designer at times, but they are usually quite isolated from the rest of the development team. They will also have a quite different schedule than the rest of the team as their workload will be heavier towards the beginning of the project and ease off towards the end when the rest of the team will be crunching. Working as a freelance concept artist is sort of teamwork as well, most of the time visualizing some other person's idea. I’ll have daily contact with at least an art director or VFX Supervisor. Some jobs you get more freedom with, but there’s always some sort of feedback. Illustration work is a bit more solo work, but I haven’t done any for some years now. I guess what I’m trying to say is that I like both working within a team or sitting by myself, as long as the job is fun. 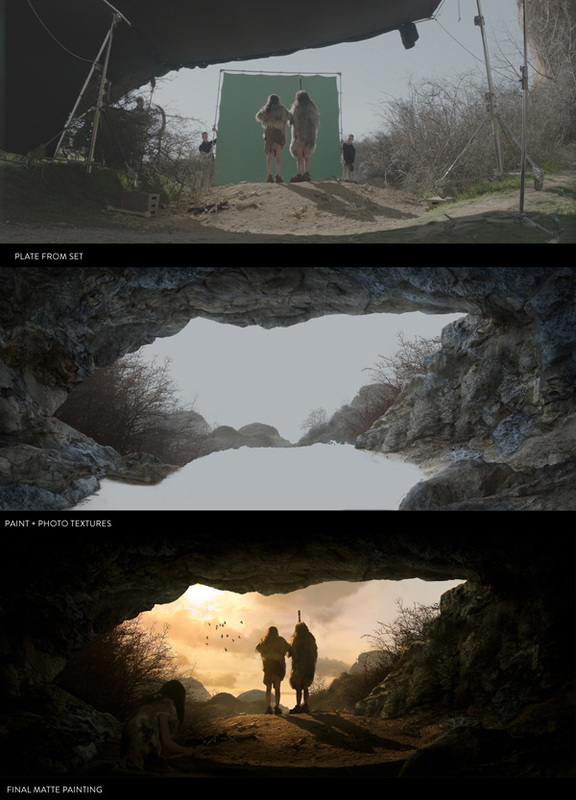 Let's talk about matte painting. 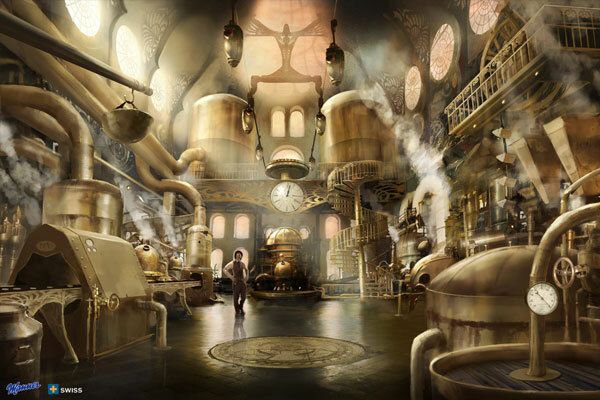 What is your process for sourcing reference for a matte painting and how much of the content of a finished piece is stock imagery/photograph/generated versus a full painted portion? 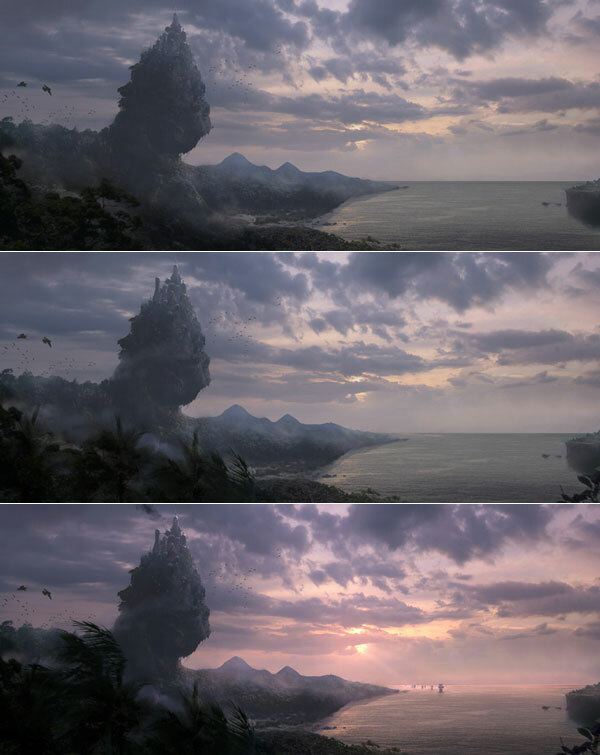 In a matte painting it’s probably somewhere around 30–40% of the work that is actual painting. It’s a hard kind of painting though. It almost has to look more realistic than real life, so there’s a lot of painting with a 1 pixel brush on images that are usually very high in resolution. Most of the time you get a lot of HD photography and 3D renders from your client. Then you have to blend all of this together, paint everything that’s missing, make the lighting in the scene work all over, and add details that make it look real. You also have to mind your layers so the Compositor that’s going to take over after you’re done can add all of the life and movement the image needs to make it feel real. So you have to plan your work very well before starting. You've also worked on TV commercials. How did you get involved with each company that you worked with? TV commercials are pretty much like small movies. A lot of the VFX studios that work on the big movies also work on commercials. For some of them it’s even their bread and butter. So once you’ve established a relation with a VFX studio, there’s quite a big chance that the job they call on you to do is for a TV commercial. 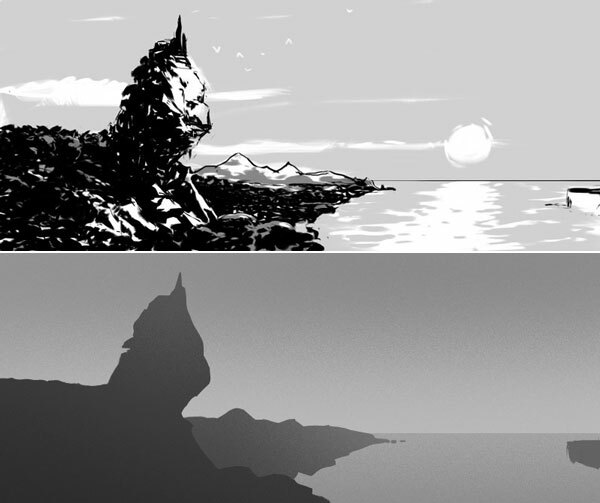 I mostly work on more visual commercials that needs quite a lot of visual development and concept art, but sometimes I get called upon to do a matte painting or a storyboard. Concept work for a TV commercial. Working as an art director, what do you find to be the most challenging? Do you enjoy taking on a leadership role, or would it be your preference to work within the design team rather than as a manager? I guess the office politics and dealing with upper management is the most challenging part of being an art director. I don’t mind the leadership role but it’s not something I’ve ever really striven for. I like working with the team and inspiring other artists, but it can be a bit hard when they’re not achieving what you expect from them. Can you break down the role of an art director for me? The role of the art director can vary quite a lot from game studio to game studio depending on how many artists are working within the team and what team set up there is. In bigger teams, the art director won’t have any managing duties as there is usually a bunch of specific lead artists doing that and producers and/or development directors keeping each department running. Then the role is mostly setting the style for the game overseeing that everything keeps in line with that, which is done through a lot of review meetings and late nights. But in a smaller team the art director might have the role of lead artist as well, and then you have to plan the workload and tasks for the art team for each milestone. That ends up being a real time sink and takes a lot of creativity away from the job. There’s, of course, a lot less art to review then. In a big team, the whole art team will probably consist of anything between 50 and 100 artists, a small team might only have about 5 to 10 artists. What words of advice do you have for aspiring entertainment artists and concept artists? You have to work really hard. You have to be among the best to be able to get the jobs that you want. During your formative years it has to be your only passion, so no time for other hobbies. Once you’re working in the industry it can be quite good to do other things from time to time though. You will always have to learn and keep up to date with trends in the industry and the latest software; your work will get old fast otherwise. It’s never going to be a 9 to 5 job. Your work will be criticized all the time and you seldom get any praise. Everyone is expecting you to be good. So I advise you to leave those big artist egos at home, or else your career will be short. Many thanks to Alex for taking the time to share his work, experience, and influences. Getting a peek at how concept artists work within entertainment art is quite a treat considering how terribly busy they tend to be and how often projects are under wraps until they're published. Quite a bit of useful information and inspiration for consumers, enthusiasts, and artists aspiring to be a part of the industry. It’s Guest Blog Wednesday featuring Serge Ramelli! http://www.creailtuoweb.it/wp/wp-content/uploads/2015/04/logo-new-300x118.png 0 0 Andrea http://www.creailtuoweb.it/wp/wp-content/uploads/2015/04/logo-new-300x118.png Andrea2014-11-05 15:21:392014-11-05 15:21:39It’s Guest Blog Wednesday featuring Serge Ramelli! From capturing a blanket of fog rolling over hills to city rooftops at golden hour, Martin Rak's landscapes have a story to tell. This Prague-based photographer documents 24 hours of his shooting day. In this interview series we've asked creative professionals who work with photography - editors, designers, advertisers, and directors - how they view and engage with pictures. 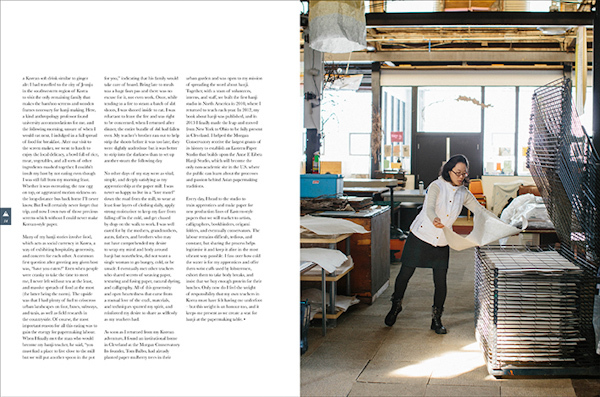 In this instalment we meet Rachel Maria Taylor and Jody Daunton from Another Escape Magazine, an independent print journal based in Bristol, UK, that aims to inspire creative ambition by encouraging readers to explore their aspirations. Hi Rachel, firstly, could you briefly explain what you do and what Another Escape is all about? 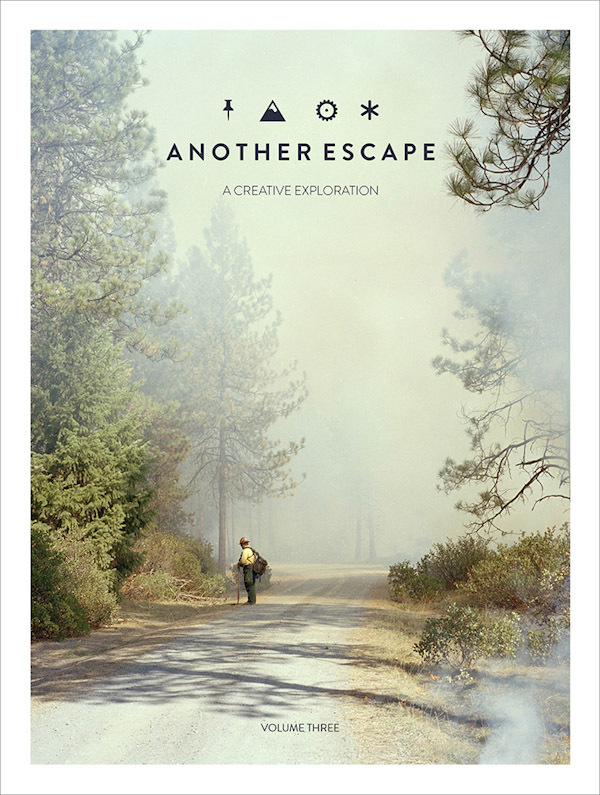 Another Escape is a biannual publication that looks to inspire an exploratory and creative approach to our lives. We attempt to do this by featuring interesting and inspiring individuals and ideas as a gentle encouragement to use one’s imagination, intuition and intellect to bring a fulfilling lifestyle. It began as an investigation to discover passionate people who followed their motivations and ambitions, and it cumulated into a project and publication that resonates with a perpetually growing readership. My partner, Jody Daunton, and I direct the project. Our collaborative approach has proved highly successful, drawing on each other’s strengths and evening out each other’s weaknesses. You’ve built a strong visual aesthetic for Another Escape, how have you been able to achieve that? Before we began the publication we really tried to work out the underlying ideas, themes, and concepts, and how we could best relay these to our readership through our brand identity and visual voice. We aren’t complacent in our brand look and feel and it is something that continual evolves. With each volume that we produce the design, curation and content becomes stronger and, therefore, we believe a more confident and bespoke visual voice is developing. This is done through use of typography, branding, layout design and choice of imagery as well as its overall creative and editorial direction. 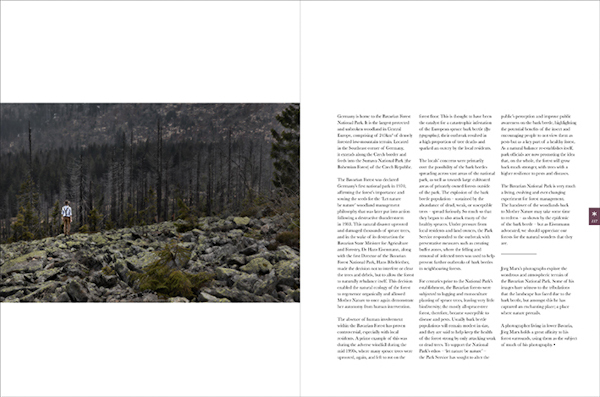 We have ambitions for the magazine’s overall visual narrative and all imagery that we use does have a stylistic feel. This is somewhat driven by the subject matter but also by the photographers’ individual photographic styles. We work with some wonderfully talented people who lend to the feel of Another Escape; they are practitioners with as much of a curious approach and exploratory nature as the magazine itself, and we believe that this is one of the most successful aspects of our collaborations. How does that influence your image selection, do you look for certain types or styles of imagery when deciding what to use in order to tell a story? 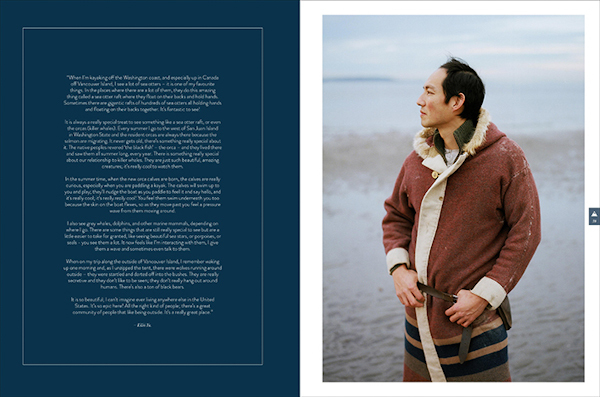 Our stories and editorials aim relay the ‘real’ – so our visual style adheres to this. We prefer to get away from overly stylized or setup photography to give a truer representation of the people and ideas that we feature; we do not look to portray an idealized lifestyle, but more one that is obtainable – albeit sometimes in a slightly romanticised way. As well as this we tell stories and look to portray a sense of narrative. How do you go about finding and commissioning work? Do you prefer to collaborate with a small selection of photographers, or are you open to submissions? Once we find talented individuals who have really contributed to the visual voice and brand identity, we like to sustain a working relationship with them. This also tightens up our brand and enables us to feel as though we are giving back to the practitioners that supported us in our early stages. That said, we are continually on the look out for new contributors, and we view every portfolio that is sent our way – even though sadly we don’t have time to get back to everyone. 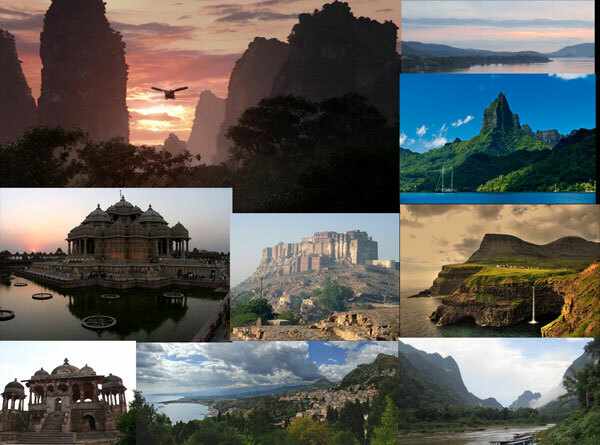 Location is a big factor as well; we are sourcing stories evermore further afield, and therefore it is good to learn of photographers with a strong photographic practice from a vast number of locations. From an editor’s perspective, what elements should photographers be considering when undergoing projects for print publications? It depends if they are collaborating directly with the publication or doing a personal project with a view to submitting it to a publication. With each magazine I believe that this will differ, but with regard to Another Escape we look for image-makers with a keen eye for narrative and strong photography that adheres to our style. The most successful working relationships that we’ve had are with contributors that are open-minded; subsequently it then becomes very much a collaborative effort. The commission becomes less successful when the contributor is more rigid and less easy about relinquishing creative control. From an editor’s perspective, we are trying to curate a number of stories to work harmoniously in a grander and more holistic narrative and body of work that is the completed volume, as well as directing the individual stories for both image and text. I think that contributors should have some measure of understanding this otherwise it could be detrimental to their working relationship with the editorial team. I can only speak for Another Escape when I say this, but we work to the upmost to ensure professional treatment, reproduction and respect is undertaken with all work that is submitted. An advantage that Jody and myself have is that we are both image-makers, so we understand the commissioning process and working dynamic from both sides. I guess in short, from an editor’s perspective, I’d say listen/read the brief properly; make sure you understand what is being asked of you. If the editor/commissioner has overlooked details then be sure to ask about these specifics. Be flexible, collaborative and give feedback on ideas, but don’t go off-piste: your editor won’t be best pleased and this may extinguish the chance of being re-commissioned. Lastly, but importantly, think about the reader and the narrative you will be presenting them with. This is as important when editing down your selections as it is when shooting—don’t just choose pretty pictures, unless of course they are relevant. 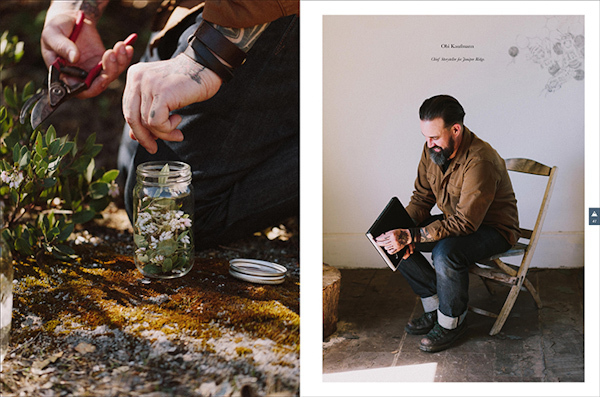 There’s been a recent surge in beautifully crafted magazines and journals. Is it an exciting time to be working in print? Do you feel it still holds greater value than online publication? A vast majority of us spend our working days staring at a computer screen, or on our mobiles or tablets, and I think that there is most certainly still a place for a more tangible reading experience – one that requires the reader to interact with the pages, smell the ink of the paper and their reading material actually have a physical presence. Print can offer qualities than digital just can’t, and equally digital holds greater potential in other areas. Therefore, I believe that there is a place for both. Within this recent surge I think it is more niche publications that are coming to life. And these often thrive and find their audiences through social and digital media. In using both print and digital they are able to reach new readers and tap into networks that are specific to their content, as well as tailor a beautiful printed product. Therefore, digital platforms are actually working to assist the resurgence in print media. As well as being niche in content, magazines are being more playful with how the printed object looks and feels: beautiful paper stocks, attention to print quality, embossing, dye cutting, interesting finishes. Even the packaging is often unique and bespoke. These book-like publications are stepping away from what we conventionally understand as a ‘magazine’, and making a new bold statement. Again these are things that digital publications simply can’t achieve. What’s next for Another Escape? We are currently working with a talented web designer/developer to create a new web platform for Another Escape, which we hope will be up and running within the next couple of months. So, that’s very exciting for us. Can photo competitions move your career forward, or are they a waste of time and money? Find out in this guest post by award-winning photographer Max Riche, along with his tips and experiences competing in the industry's top photo contests.